I will surely watch this movie come April 30! 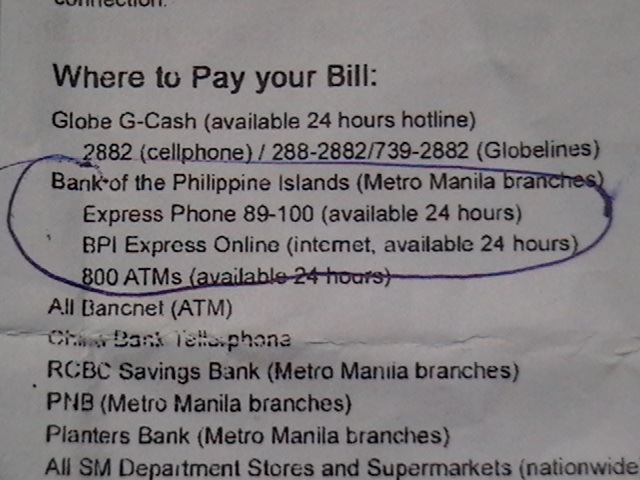 Anyone who knows how to read English will know what that means, that your water bill can be paid at Metro Manila branches of the Bank of the Philippine Islands (BPI). So that’s what I did today, I went to a local BPI branch and queued for almost an eternity to have this bill paid only to be told by the teller, that BPI does not accept over-the-counter payments and encircled the means that the bank can accept the payment. I was so frustrated and mad. The good side of me told me not to make a big fuss of this in the bank and so I did not made a scene. I crumpled the payment form and left the building in fury. 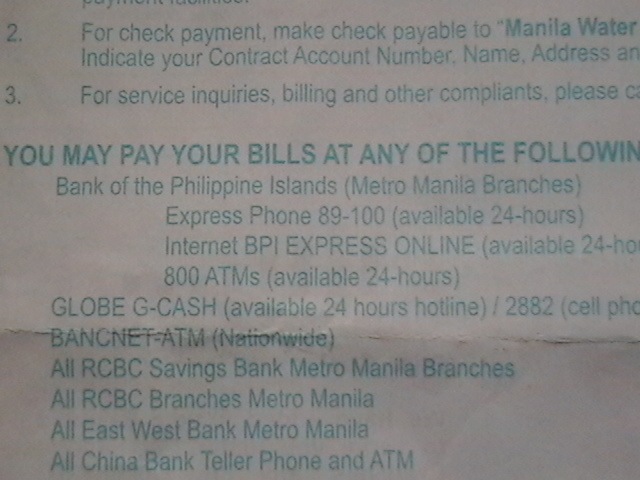 If BPI does not accept over-the-counter payments, who’s stupid idea was it at Manila Water to put (Metro Manila Branches) on the bill? When I went back home I called Manila Water customer service. I was told that BPI accepts over-the-counter payment but the person I talked to (who sounded very unsure) said that he’ll confirm it and will send me a text message once he finds out the answer. My goodness, things like that should be known by call center staff instantly, I mean I worked in a call center before and things similar to that should be memorized. Now, I wait and wonder about the end of this matter. Bottom line, I hate poor service. Companies with poor services don’t deserve to exist!